While our lab tests give us independent assessments of the products we test, your views are just as important to help us shape our work. Each month we survey thousands of members from Which?, Which? 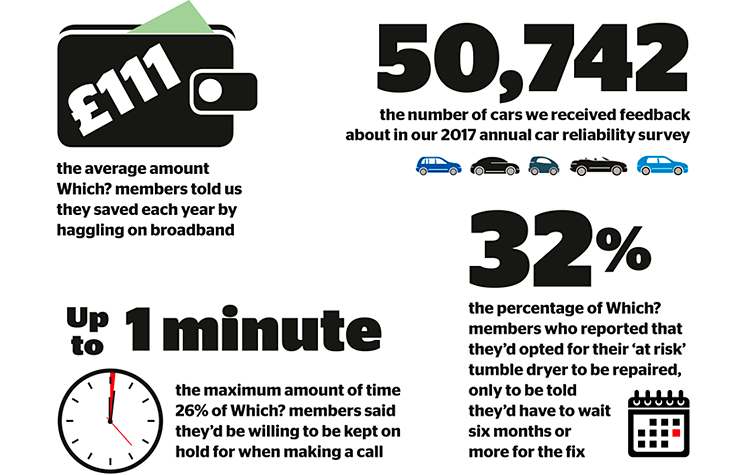 Connect (our online member community) and the general public on topics that range from how people feel about their local supermarkets, broadband providers and energy suppliers, to how reliable the products they buy are. We then use the information to inform our magazine articles, our online content and our lobbying and campaigning work. You can get involved with our surveys by joining Which? Connect, our online research panel made up of more than 30,000 Which? members. Find out more about it here.